Buying your own private jet aircraft is a big investment for either an organisation or high-net-worth individual. It is thought that an aircraft purchase will only be cost-effective if you need to fly more than 400 hours per year – which averages at about 8 hours per week. For anything under 400 hours you would probably be better off considering a fractional ownership program such as that offered by industry leader Netjets or a block hours card. Lighter users should probably stick to standard jet charters. Buying a private jet outright is for those who wish to retain control over an aircraft. Multinational corporations are commonly known to purchase their own jets but will also use additional jet charters to supplement their needs. Very Light Jets – VLJs have compact cabins with 4-6 seats and can travel on short flights under 2 1/2 hours with a range of around 1,200 miles. They are the cheapest type of jet aircraft with list prices up to $5 million. Examples include the Cessna Citation Mustang, Embraer Phenom 100 and Honda HA-420 HondaJet. Light Jets – These light and versatile planes can carry 6-8 passengers up to 2,000 miles. List prices vary between $6 million and $12 million. Medium Jets – Midsize and super midsize jets that can carry up to 9 passengers on trans-continental flights with ranges up to 3,500 miles. They can cost up to $22 million. Heavy Jets – These long-range corporate jets have inter-continental flying capacity. They can fly up to 19 passengers in comfort and are priced up to $70 million. Examples include the Gulfstream G550/G650, Dassault Falcon 7X and Bombardier Global 6000.
Business VIP Airliners – Business jet offerings from Boeing and Airbus which cost up to $80 million or significantly more for a wide-body jet. Hamilton is a world champion Formula 1 racing driver for Mercedes with an annual income of around $50 million. Living in Monaco, Hamilton has a constant need for travel to the 20 F1 races around the world plus meetings and holidays/vacations. 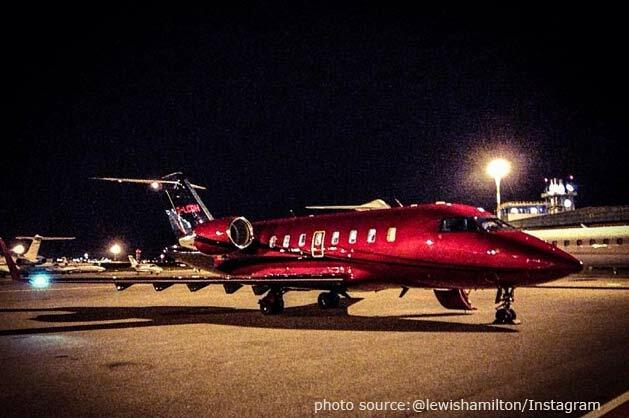 In 2013 Hamilton purchased a $30 million Bombardier Challenger 605 jet in red and black livery with registration G-LCDH. The heavy jet has a range of 4,000 miles and can carry 9 passengers and 2 crew. Private jets are often used by top level sports people – particularly in international sports that are very well paid such as F1, tennis and golf. They offer privacy, comfort and the convenience of avoiding commercial flights and airports. Golfer Tiger Woods owns a long range Gulfstream G550 aircraft – it can carry 14-19 people up to 6,750 miles. However, the majority of sports stars flying private jets tend to either charter or use hours/fractional programs. If you buy a new aircraft direct from the manufacturer you can probably negotiate a discount off the list price. This is one advantage over fractional ownership programs where you will pay full retail price for your share of the plane. Buying your own aircraft also means you can customise the interior to your own specification – there are no limits to how much this can cost! Apart from direct purchase from manufacturers there are dealers and brokers that sell new and used aircraft – although do your homework on any company you deal with. Buying a used aircraft can be cheaper initially but servicing costs will be greater to get the aircraft fully compliant with aviation regulations. Older aircraft engines are more fuel inefficient and you may need to upgrade the avionic system on the flight deck. Always ensure you get a professional inspection of any aircraft you are considering purchasing and try to take a test flight. Shell is the multinational oil company with dual-listing in UK and Netherlands with headquarters in London and The Hague. Shell has operational activities in Europe, North America, Asia, Africa, Australasia and the Arctic. The company has a fleet of 4 long-range aircraft based at Rotterdam-The Hague airport and employs its own crew and maintenance team. 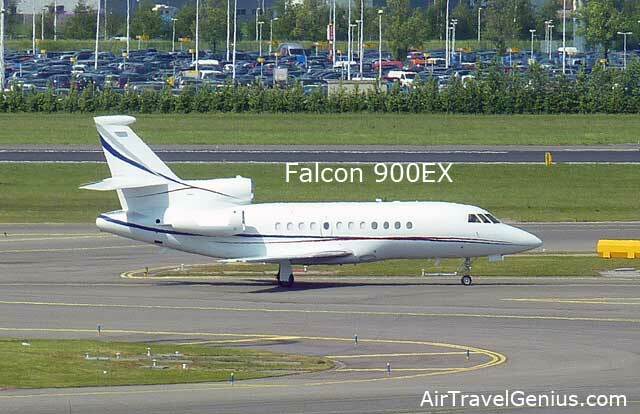 The fleet comprises of 3 Dassault Falcon 7X and 1 Dassault Falcon 900EX. The tri-jet 7X costs $53 million and can carry up to 19 passengers. It has a range of 6,000 miles. Shell operates in many remote parts of the world making the jets an essential tool for moving management between regional offices and the field. You will need to finance the aircraft and consult with accountants, financial service companies and aviation professionals to find the optimal purchasing solution for the ownership period. Financing arrangements vary from country to country. One very important aspect to consider is the depreciation of the aircraft. A new plane will lose a significant amount of value from the list price after 5 years, depending on the type of aircraft and how many hours it flies. By securing a very good initial purchase deal you can slightly dampen the impact of depreciation. Finally, note that any potential financial recession in the future will significantly decrease aircraft prices from the rush to liquidate assets! Let’s consider the approximate running costs for a new midsize jet. Most plane owners will outsource the managing of an aircraft to a licensed aircraft operator. The annual management cost of the aircraft would be around $400,000-$500,000. This would include fixed costs such as scheduled maintenance, insurance, pilots and crew, training, avionics upgrades, weather forecasting, hangar fees and parking. Add in a further $100,000 for any unexpected maintenance and expensive aircraft parts. Bear in mind that over the course of a year an aircraft will spend around 1 month in scheduled maintenance – plus any downtime for emergency repairs. You need to consider this factor when planning your travel timetable. It could be that you will need to use jet charters to cover the time when your aircraft is not available. Your management company may be able to provide such a charter service. Depreciation would have to be accounted – this could be $1.5 million annually. On top of this you would have your variable fees which depend on how many hours you fly and where you go. For 400 hours flying expect to add around $1 million – mainly for fuel but also landing fees, airport taxes and de-icing charges. Obviously fuel consumption depend on the size of the aircraft. So operational costs for such a midsize jet could easily be around $3 million per year. You may also decide to charter out the aircraft to third parties when not being used – although this brings in some extra revenue this will put more hours on the aircraft which will mean extra servicing and faster depreciation. In summary, to buy a private jet you should choose your aircraft type carefully, consult with aviation professionals about finance and consider the annual management and operating costs.